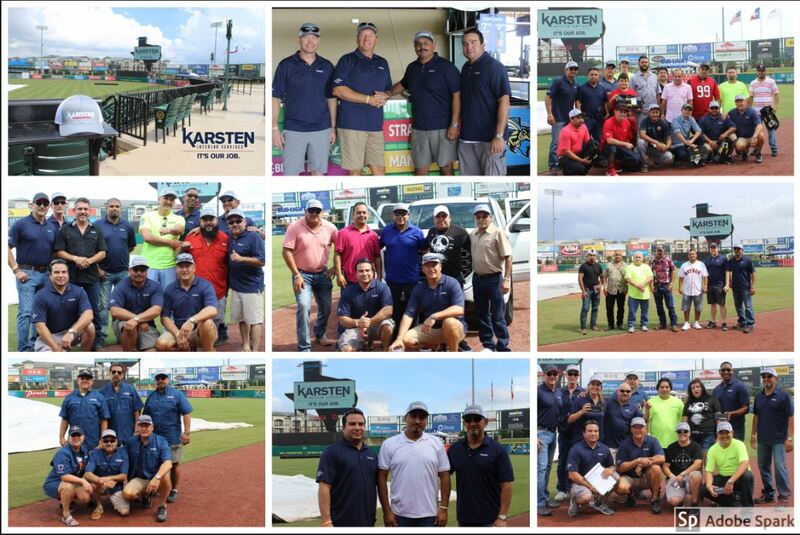 A little rain couldn’t ruin our good time at the 2018 Karsten Interior Services Safety Picnic hosted at Constellation Field. With over 550 attendee’s, employee’s and their families got to enjoy the afternoon at the baseball field and helped us recognize several employees for their outstanding service and commitment to the company. Celebrating over two million man hours worked with no lost time, Karsten Interior had the opportunity to present the 1, 3, 5, 10 & 20 year service awards. The newest members to the 20 year anniversary club include: LeAnn Karsten, Jose Castaneda, and Porfirio Pena Rivas. Also recognized were the 12 highly esteemed service award categories which are determined by employees submitting their ballot. Once the 18 raffle prizes and awards ceremony concluded, the company then raffled a 2018 GMC Sierra in which 5 names were selected from the 30 top producing foreman. The lucky (and well deserving) winner, Mr. Julian Silva, was elated with his new vehicle! While children played on the splash pad, swam in the pool in the Wells Fargo Picnic Plaza, and dined on hamburgers, hot dogs, BBQ chicken and sausage, the team got a chance to watch the Skeeters play the Long Island Ducks. It was a great event!